Imagine a world without sturdy, metal handles. How would you open a cabinet drawer in your office? What if you slipped in the shower and there was no grab bar? How would you open your microwave or an oven door if there were no handles? What would you grab onto if the elevator stopped suddenly? By helping us move more easily and safely from point A to point B as well as making everyday functions more efficient and effective, metal handles are an essential manufactured component that all of us may take for granted. From hydroforming to tube stamping to roll forming and finishing raw aluminum extrusions, there are multiple metal forming processes that a turnkey handles manufacturer can utilize to achieve a wide variety of shapes, textures, and aesthetic in creating the handles that both OEMs and consumers depend on. Here’s a look at a few applications for manufactured handles that improve daily life. 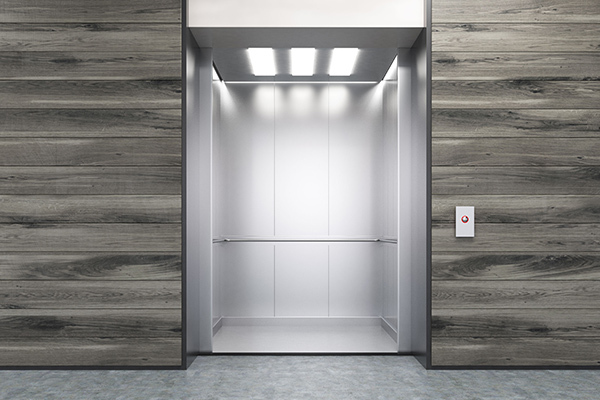 Elevators – The elegant handlebar in the posh hotel elevator may seem like decorative trim, until a small child accidently hits the STOP button. Elevator handlebars are often formed with premium grade metals for exceptional durability, without sacrificing design aesthetics. They can come in a variety of shapes, (round, oval, flat) with numerous rail-end design options (bent, ballnose, kick, or straight). There are multiple metal forming methods to create a host of unique handlebar shapes and appearances. Commercial Doors – Like elevator handlebars, commercial door handles have been reinvented in recent years to incorporate intelligent aesthetics in addition to function, requiring more high-end metals with custom finishes. The front door is the first impression for every customer who walks into an office building, and each handle must be sturdy enough to open a large, commercial-grade door. Stainless steel is often the metal of choice for main entrance handles in large, commercial buildings. A turnkey handles manufacturer with value-added services in-house should be able to cost-effectively create custom commercial door handles while also improving the part’s aesthetic for both form and function. When handlebars first made their way into bathrooms, they were designed purely for safety, not a high-end aesthetic that matched other bathroom fixtures. Thanks to innovative custom metal forming methods like hydroforming combined with finishing techniques such as powder coating and vinyl cladding, shower and bath safety handles can be manufactured in numerous shapes, textures, and colors. Which means that today’s bathroom functionality doesn’t have to clash with home decor and can actually help OEMs and designers achieve a more uniform aesthetic. Metal bath handles can now be formed in quality, graceful tubular designs — from prototypes to large production runs. The kitchen is the heart of any home, so it’s no surprise to OEMs that consumers now demand the look of luxury, without giving up functionality. Cabinet and drawer handles should stand the test of time, but need to be available in high-end finishes like brushed nickel or a knurled-patterned stainless steel to resist fingerprints. Today’s metal handles for appliances, cabinets, and other areas of the kitchen can be cost-effectively produced via roll forming, hydroforming, and tubular stamping. The key is in also achieving an integrated aesthetic that both high-end designers and conscious consumers are increasingly demanding — something that a true turnkey handles manufacturer can accomplish by merging value-added processes into existing capabilities and offering its customers flexibility in both forming and finishing options. A busy office employee may have two calls on hold, an on-going video conference, and a client waiting at the door — all at the same time. He or she doesn’t have time to look down to grab a pen from the desk drawer or pull a file from the cabinet. Office metal handles should be easy to grab and durable enough for repeated daily use. For executives, the demand may be for cabinet handles that don’t clash with their modern desks, chairs, and accessories. The challenge for OEMs is cost-effectively delivering practical, aesthetically-pleasing office handle designs without breaking the bank. Fortunately, today’s innovations in metal forming processes offer more cost-effective office handles that can mesh with any contemporary office decor. Every time a truck driver climbs into the cab, he or she shouldn’t have to give a second thought to the durability or the ergonomic design of the heavy-duty grab bar. The grab bar should be contoured for finger grips and be aerodynamic enough to avoid distracting wind resistance that can negatively impact fuel economy. Deliver the Ideal Shape While Reducing Costs – Tubular hydroforming can create complex shapes with easy-grip knurled textures, with less expense than tubular stamping for low-quantity runs. Using a hydroforming press with a single die can further reduce costs by creating a single piece and then cutting it to work as a left or right handle. Provide Welds That Hold Their Weight – Many trucking companies demand “heavy-duty” grab bars that can support over 500 pounds of pull strength. A robotic welder can create welds from the bar to the plate that can withstand several thousand pounds of pull force. Provide Short Run Prototypes – The best way to test a truck grab bar is to take it on the road. Turnkey handles manufacturers can cost-effectively produce short-run bar prototypes for effective R&D. At Mills Products, our heavy-duty truck grab handles earned us the 2015 Paccar Inventor’s Award. We’re one of the largest suppliers of stainless steel handles to manufacturers in North America. As a turnkey handles manufacturer, OEMs turn to us when they need metal handles that will produce the best results for their customers, as cost-effectively as possible. Our deep and diverse forming and finishing capabilities enable us to create aesthetically-pleasing handles with class-A finishes for appliance, automotive, heavy trucking, and other commercial industries. At Mills Products, we’re always looking for solutions that increase the value for our OEM customers, such as bringing our metal finishing expertise to improve the ROI on extruded metal parts. To learn more about how we can help you achieve highly aesthetic, superior metal handles, please contact us today.